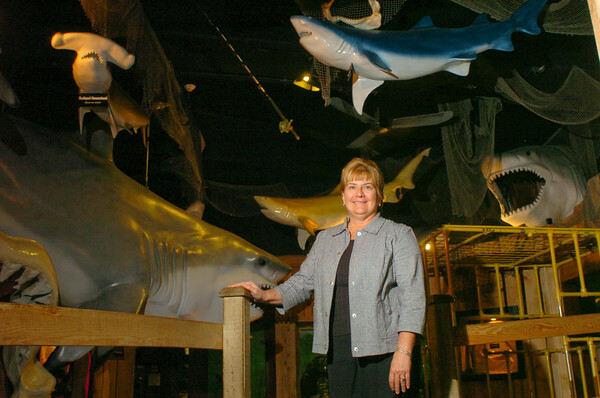 DAN CAPPELLAZZO/STAFF PHOTOGRAPHERNiagara Falls - Aquarium of Niagara executive director Nancy Chapin stand among the sharks. The Aquarium needs there supporters to text the Pepsi Corporation at 102344 to pepsi (73774) each day up to two times a day to tray and win a $50,000 grant from pepsi which will be put towards the Coral Reef Project. To cast a vote online go to http://www.refrsheverything.com/niagara reef project.